At APPLE BLOSSOM FLORIST, we have the perfect arrangement for every occasion! 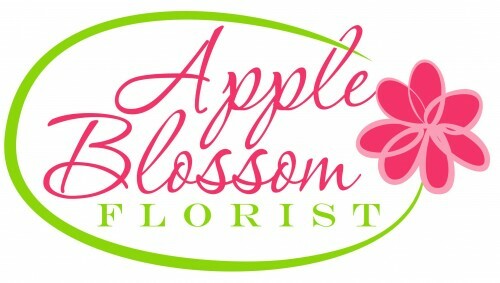 Apple Blossom Florist has been doing business in Peru, NY for over 40 years. In 2011, the business was purchased by Rulfs Orchard. Both Apple Blossom Florist and the Rulfs Orchard farm store are now located together at Rulfs Orchard, 531 Bear Swamp Road, Peru. No matter the occasion, Apple Blossom Florist is your go-to destination to find special gifts for everyone on your list. We offer beautiful fresh flowers, indoor plants and plant gardens, silk arrangements, unique gifts, gourmet snack and fruit baskets, specialty bath & body gift baskets and local crafts. A wide selection of fresh flowers by the stem and ready-made arrangements are always available, and our designers will create custom floral arrangements for any occasion with each customer's style in mind. If preferred, you may call us to place orders direct at 518-643-2108 or 1-866-439-5073. It is our pleasure to assist you with any local or worldwide delivery. Corporate accounts are always welcome. For your convenience, we offer floral delivery Monday through Saturday to local funeral homes, hospitals and more than 25 area communities. WEDDING & PARTY FLOWERS ~ Call us to schedule a consultation, so we can help you start planning flowers for your dream wedding or a special event – large or small. Our talented designers create bouquets, centerpieces and arrangements with each client’s individual style in mind. SYMPATHY & FUNERAL FLOWERS ~ You can always depend on us when you need to send flowers for the funeral of a friend or loved one. We will design and deliver a funeral arrangement that beautifully conveys your feelings of sympathy and serves as a lovely tribute to the deceased. ALL OCCASION GIFT IDEAS ~ Shop from our Green & Blooming Plants and Dish Gardens for a gift that adds life to any room or office. Add a fnishing touch such as Chocolates, Plush Stuffed Animals or Balloons, or choose from our selection of Gift Items including Fresh Flower Subscriptions and Gift Baskets. Whatever the occasion, you are sure to find something special at Apple Blossom Florist. RULFS ORCHARD ~ We also invite you to visit our family-owned and operated parent company, Rulfs Orchard, on the web at www.RulfsOrchard.com or in Peru, NY at 531 Bear Swamp Road. Thank you for visiting our website with flowers delivered fresh from your local PERU, NY flower shop and convenient online ordering 24 hours a day! If an order is received outside of normal business hours, it will be processed the next business day.